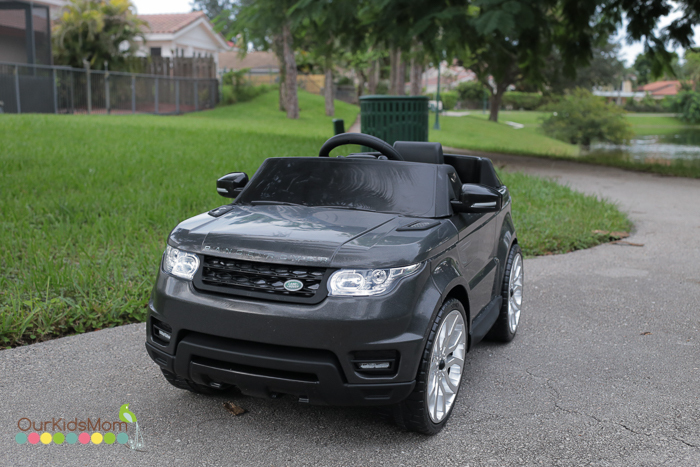 I was recently sent the Range Rover Lights and Sounds 6 Volt Powered Ride On in Black for my daughter to take for a spin. 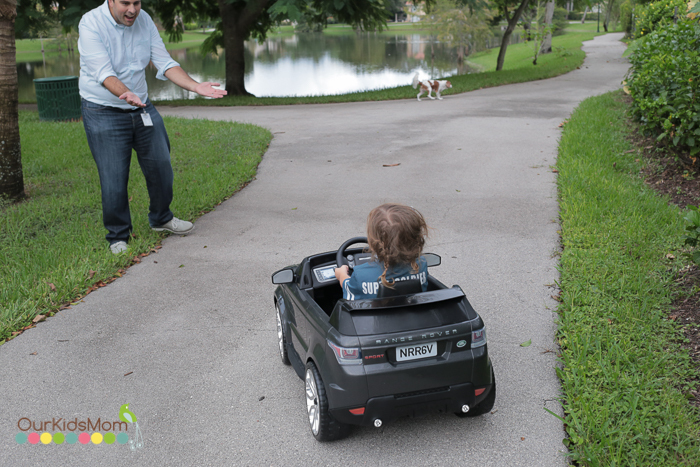 I was excited for this to arrive because the Luxury Range Rover is perfect for little drivers! 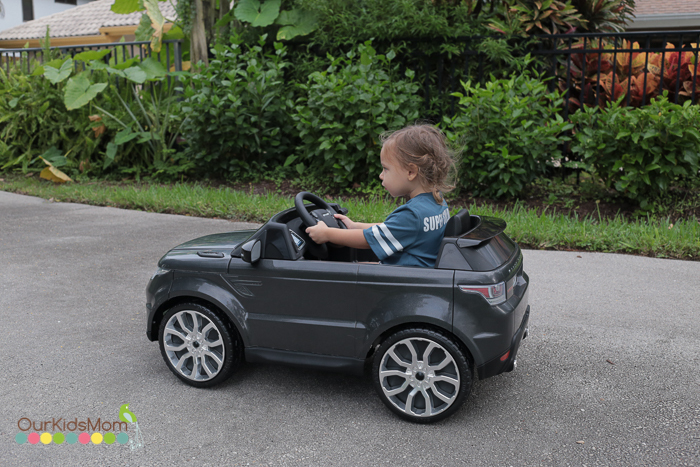 It is a 6-volt ride-on that features true Range Rover vehicle design, seating for one child with foot accelerator and electric brake. I wasn’t worried about my daughter taking it for a spin because the forward and reverse gears have a maximum speed of 2.5mph or 4 km/h. 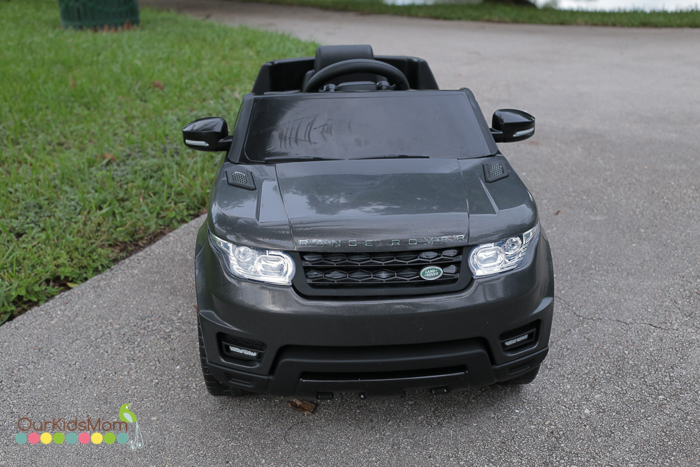 Thankfully the Range Rover was easy to put together as I was on my own for this one. The directions were easy to follow and it didn’t take very long to finish the assembly. The Range Rover is relatively light so I was able to carry it to the area outside where my daughter could ride safely. I think it was lighter because it was only seat. Since my daughter is an only child, I like that there is only one seat. The small footprint makes it easier to store in the garage without completely rearranging everything. 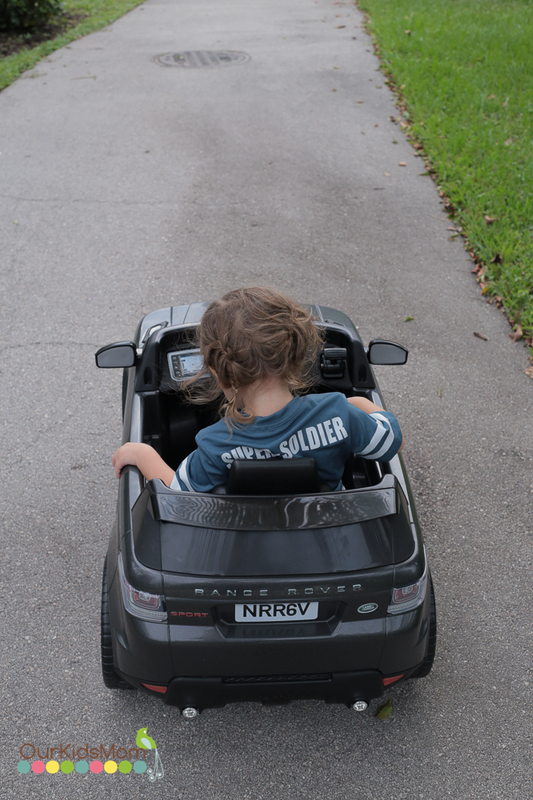 My daughter is 2 and was able to control the car on her own. 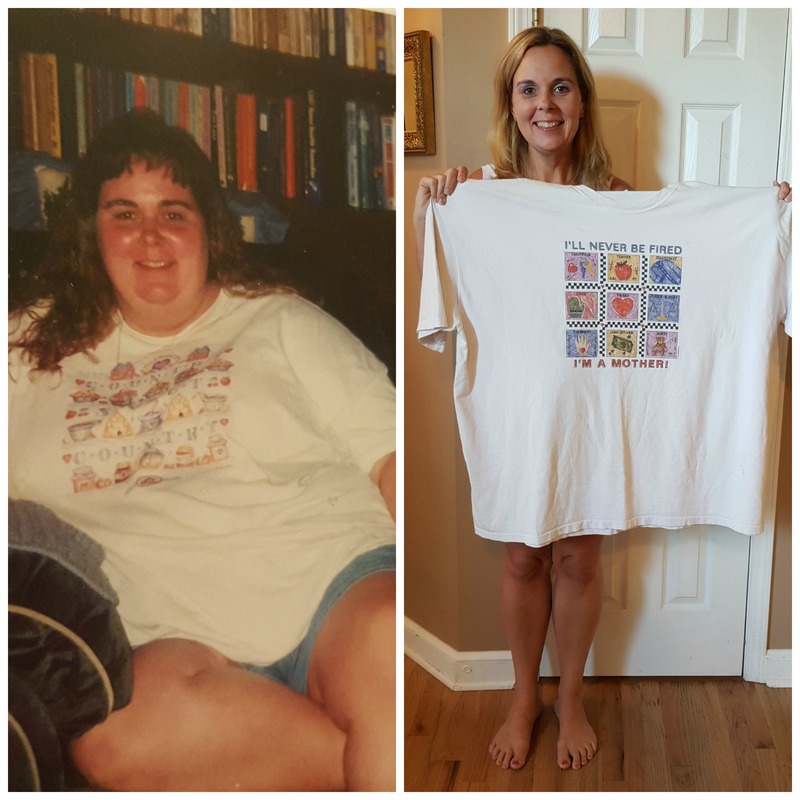 It really is a pretty simple operation and after a few tries she was a pro. Since it only goes up to 2.5 miles per hour I could easily keep up with her on our walk. I really love how stylish the car is. 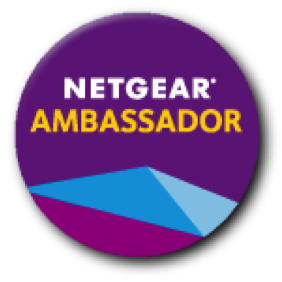 I prefer this sleek look to the ones with all the cartoon characters on it. Kids love characters one second and forget them the next. This one will grow with her for some time. Little cars have come a long way since the pedal car I had 50 years ago. Looks neat. i love this….i would like to have one for my dogs….so cute. looks just like the real ones. Any chance you could tell me how it handles in the grass?